For fifteen years MTC has been able to provide a life-changing intensive drama program for disadvantaged Victorian students thanks to the generosity of donors. Last year, in memory of the late Betty Amsden AO DSJ and in acknowledgment of her generous support for the program, MTC named the Youth Scholarship Course in Betty’s honour. The 2017 Betty Amsden Youth Scholarship Course took place in the first week of October at the MTC’s Southbank headquarters. This free week-long course is for 25 students who would not otherwise have access to extra-curricular drama programs due to economic, educational, geographic or personal barriers. 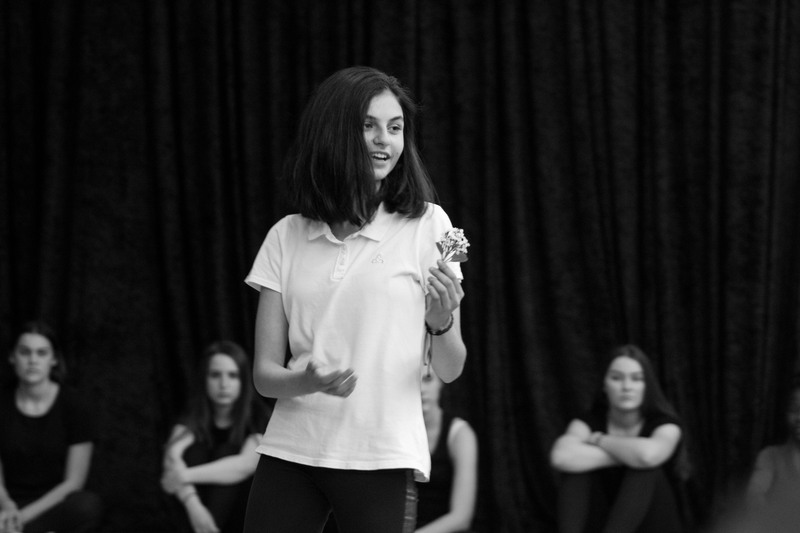 It provides an opportunity for young people to learn and develop drama skills, gain confidence, self-awareness and self-expression whilst building friendships and a lifelong affinity for theatre. This year’s participants, aged between 14 and 16, travelled from regional towns including Mildura, Yarram, Berriwillock, Shepparton, Wodonga, Sebastopol and Warrnambool, as well as outer-metro and Melbourne city suburbs. 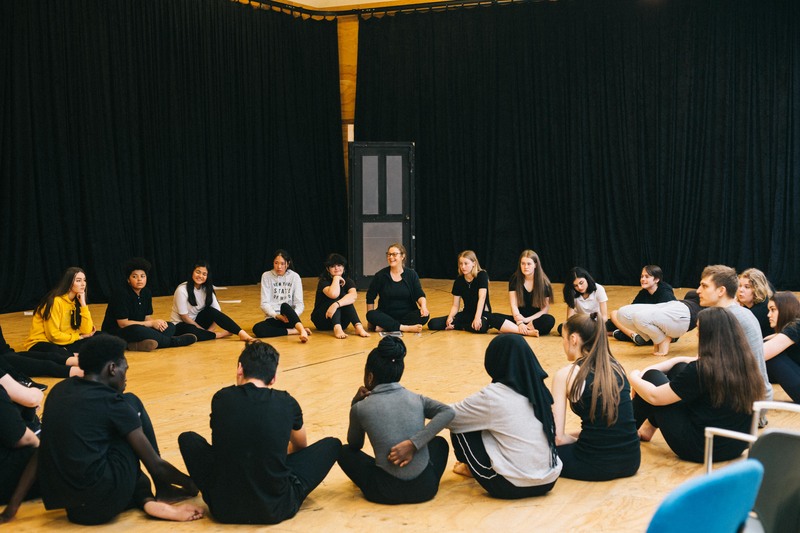 Throughout the week, teaching artists led students through workshops exploring a variety of theatre forms and approaches, including devising, Shakespeare, comedy and rhythm. This course also included excursions to see MTC’s production of Noël Coward’s Hay Fever at Southbank Theatre, and Much Ado About Nothing by William Shakespeare at the Pop-Up Globe. Students also stepped behind-the-scenes on an HQ tour to see where our sets, props and costumes are made, and participated in an interactive rehearsal of the 2017 MTC Education Production, Melbourne Talam by Rashma N. Kalsie, with Director Petra Kalive and cast members Rohan Mirchandaney, Sahil Saluja and Sonya Suares. The week culminated in a showing for teachers, family and invited guests in the rehearsal studio where students had been working during the week. Feedback received from students, teachers and parents attests to the benefits of the course for the participants. MTC gratefully acknowledges the generous support of the late Betty Amsden AO DSJ, the Lord Mayor’s Charitable Foundation and the Lady Mayoress’ Committee. We would also like to thank our Partner, Melbourne Short Stay Apartments, for their support.